Manfred’s and Restaurant Relae, owned by Noma alums and located in the hip Norrebro neighborhood, attract serious foodies looking for more of a local atmosphere, but the real deal these days is Copenhagen’s new Torvehallerne market. 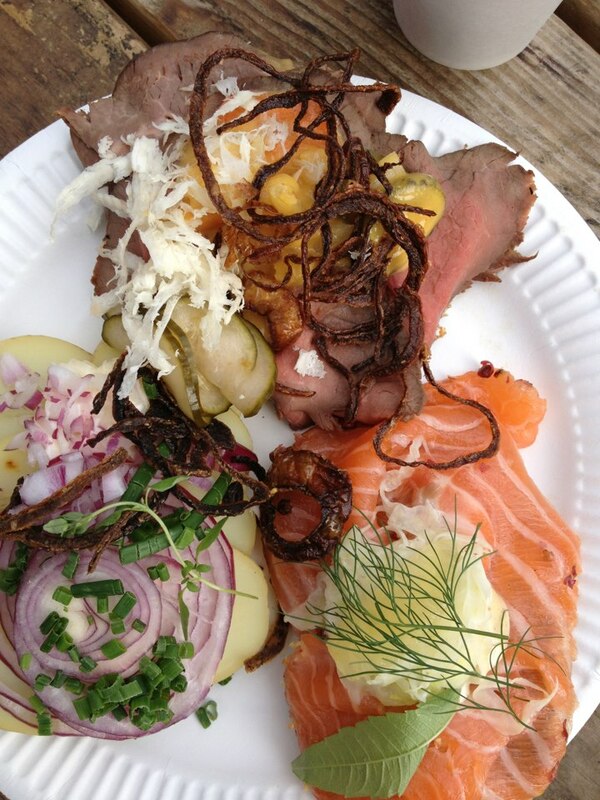 Just one year old, Torvehallerne is an upscale covered market in Israels Plads, the first of its kind in Copenhagen. The beautiful, orderly market is home to about 80 vendors, selling fresh local fish of all kinds, just-pressed juices and made-to-order Smorrebrod, a traditional Danish open sandwich on dark rye. Hours can be spent here, sampling various cheeses, speaking to the vendors, breaking for a drip coffee at the city’s famous Coffee Collective. Come for a full meal or for daily food shopping, as fresh produce is available outside.